Theme : Blue. 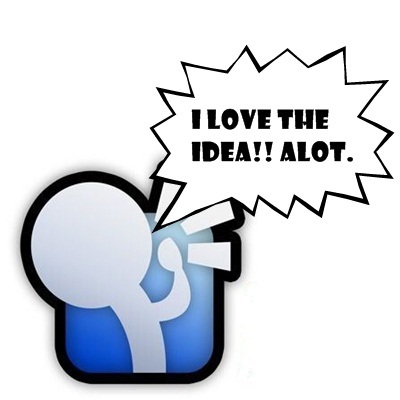 Again, Blue! 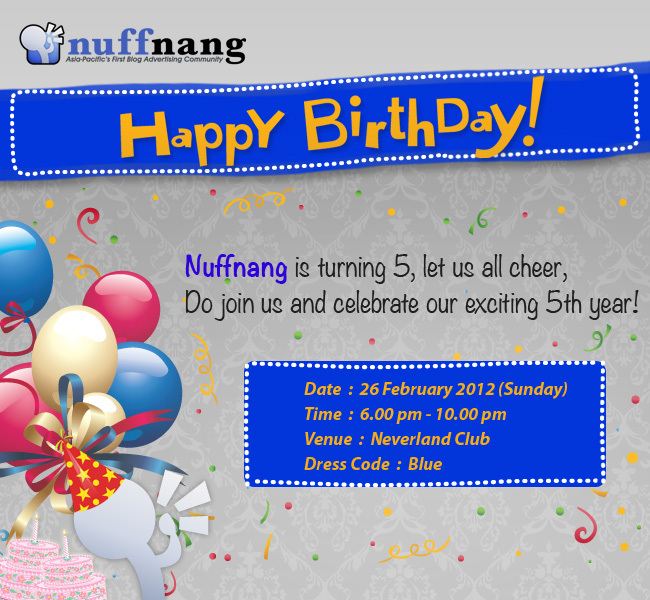 So here we go through the task - how you think the famous Nuffnang stick man should celebrate his 5th birthday? When it goes for a 5, I think for something childish. Balloons! Im pretty sure the event will become more glorious. I think there was a shop in Subang Jaya that sell all this kind of stuff. Its so cute. Maybe you can add some glitter on it. Well, people love freebies. You can prepared it to all guest or maybe you can make a lucky draw. Ya, for some people who's lucky on that night :) So, we will have something to make as a remembrance. Music is the best part. To make everybody enjoy the event, you can play some lovely song maybe? That people will enjoy most. patutnye nuffnang patut bagi hadiah kat kita kan?? bagi la BE ke paling kurang kan? ?